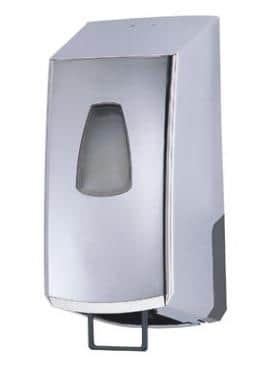 We have a large range of liquid soap dispensers. 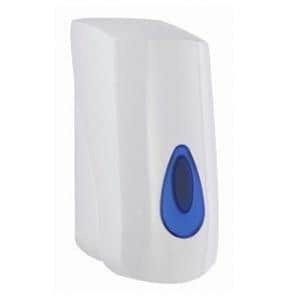 We also have pump foam dispensers or fully automatic, non-touch liquid soap dispensers. All of these will compliment any washroom. 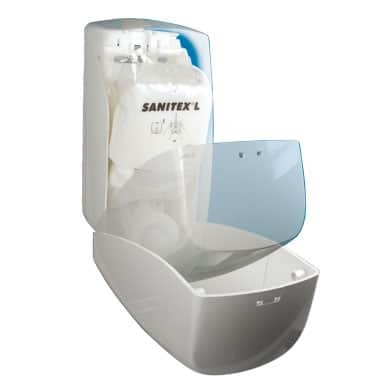 The Sanitex soap dispensing system has a unique pouch feature, that reseals each pouch ensuring servicing is quick, simple and contamination free. The “push to dispense” Sanitex system can accept a choice of innovative liquid, spray or foam pumps which provide flexibility for a choice of users’ preferred soap option, without the necessity to change the entire dispenser. Dispense foam soap products economically, cleanly and efficiently with a clear sight glass to easily check contents. 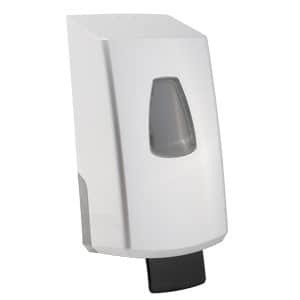 Savona produce a range of pump and automatic soap dispensers that will compliment any washroom.